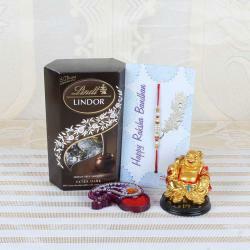 Bless your loved one with this special gift hamper which has a perfect blend of love and ritualistic touch. 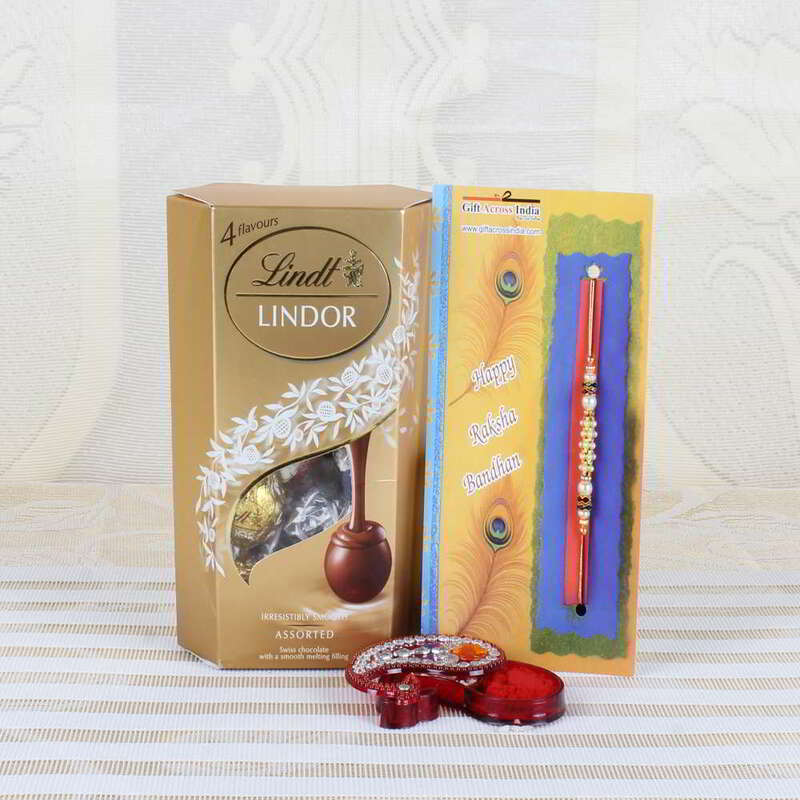 The combo has a pack of Lindt Lindor assorted chocolates along with a beautiful tiny pearl beaded Rakhi thread and a designer roli chawal container. The look of the combo is very classy and rich in style. Tiny pearls beaded in a matching thread looks awesome. 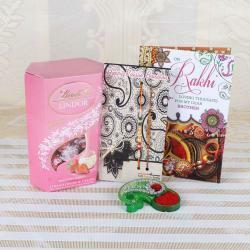 The ambi shaped roli chawal plastic container looks wonderful. 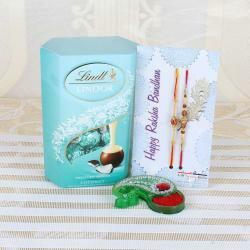 Make this special combo part of your Rakhi celebration and make a difference. 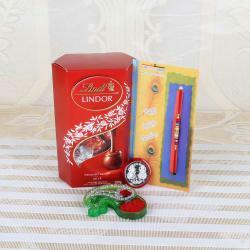 Product Consist: Lindt Lindor Assorted Chocolate (Weight: 200 gms), Tiny Pearl Beads Rakhi along with Designer Roli Chawal Container.